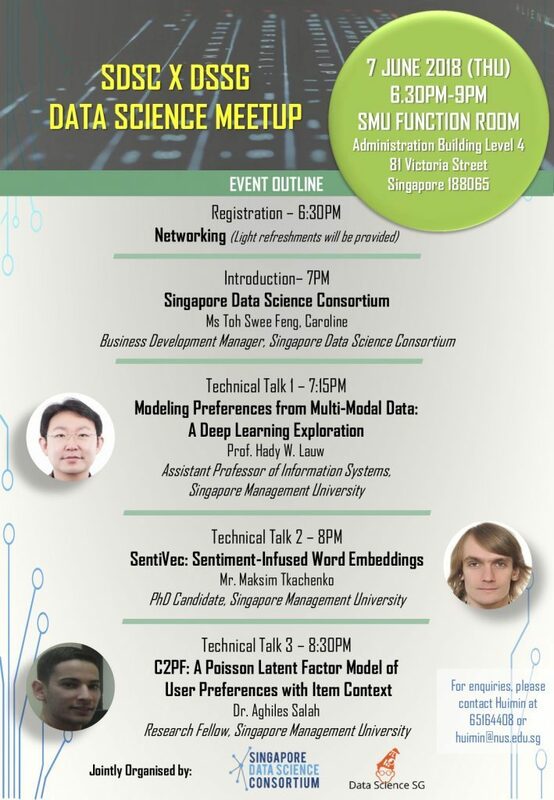 In collaboration with SDSC (Singapore Data Science Consortium and DSSG (DataScience Singapore), we will be giving several talks at a meetup on Thursday 7 June 2018. For more info, click on the flyer. See you there! Update: See a follow-up blog post with videos of the talks.